Chinese electric carmaker NIO, often referred to as the "Tesla of China" is looking to raise capital again four months after its New York IPO. The startup electric automaker launched a $650 million five-year convertible bond on Wednesday to fund its expansion. NIO plans to use the proceeds of the convertible bond for research and development for new electric models, development of manufacturing facilities, as well as sales and marketing. The Shanghai-based automaker's move to raise capital via an equity-linked bond, just four months after it listed in New York highlights the growing appeal of convertibles for high-growth companies in need of quick cash. NIO's stock is currently hovering about 11 percent above its IPO price at $7.46. The stock briefly doubled in value in the day after its IPO, however the company's stock performance has been relatively flat since then. NIO's IPO was priced at $6.26 on Sept 11, 2018. It was the largest U.S. listing to date by a Chinese automaker. Louis Hsieh, NIO's chief financial officer, told investors on a call that part of the reason for selling a convertible bond was to make up the difference between what the company raised in its IPO and what it had originally sought to raise. NIO hoped to raise $1.8 to $2 billion from its IPO, but only raised $1 billion of that amount. Asked about the timing, Hsieh said the convertible bond market was receptive to a deal and he did not want to wait until March or April and risk a possible worsening of U.S.-China trade tensions. Convertible bonds are a cheaper funding option due to their lower coupons in exchange for giving the bondholder the option of converting the debt into NIO shares at a set price in future. The equity link gives investors fixed returns and the prospect of profiting from a rise in the issuer's share price. For tech companies or startups such as NIO, which can have more volatile stock prices, convertible bonds also represent a cheaper funding alternative than straight debt. According to a term sheet viewed by Reuters, NIO was marketing a five-year convertible bond with a conversion premium of between 27.5 percent and 32.5 percent The coupon range is between 3.5 percent and 4 percent. The electric vehicle startup could raise as much as $750 million if a greenshoe, or over-allotment option, was exercised. 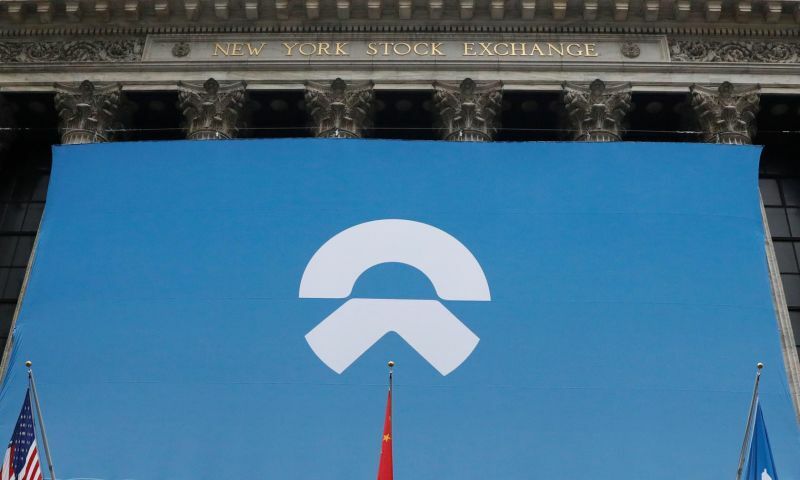 Two of NIO's existing backers, Chinese internet giant Tencent Holdings and Hillhouse Capital Group, will buy $30 million and $10 million of the convertible bond, respectively, according to another term sheet seen by Reuters. 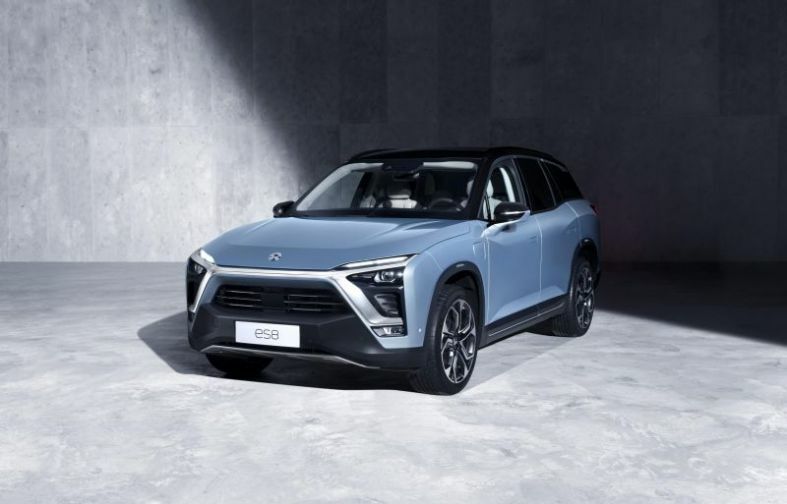 NIO's revenue and deliveries of its electric SUV soared in the third quarter of last year. The automaker's first electric vehicle the seven-passenger ES8 SUV, was made available to Chinese customers in June 2018. By August, NIO was already outselling Tesla in China. China is the world's largest and fastest-growing market for new-energy vehicles, often referred to as NEVs. NEV's include fully-electric vehicles and plug-in hybrid models. However, competition is increasing in China for NIO, as government subsidies led to a flood of new electric automakers entering the market, including Tesla. The U.S. automaker is constructing a factory near Shanghai to build the Tesla Model 3, its first mass-market electric car.